As an author, seeing my characters come to life on the page has absolutely been the coolest part of the publication process. I’ve been extremely fortunate to work with two fabulously talented artists. You all know Tim Heitz from Game Face fame. Now, I’m thrilled to introduce you to the brilliant illustrator behind the whimsical Odd Job images, Elena Napoli! Keep Reading! I still cannot believe I actually get to say it, but here I go. Allow me to introduce my second Kid Lit series, Odd Jobs! These spook-tacular ghost stories feature Ella, recently orphaned and sent to live with her old Aunt Raven in the creepy town of Windy Hollow. Not much for family affection, Aunt Raven sends Ella off each day on random odd jobs throughout town. Stock a shelf here, fold some laundry there – the tasks are trivial and boring … until they’re not. With ghoulish guests and paranormal plots, Ella’s jobs quickly transform from odd to oooddddd. (I couldn’t resist. Word Nerd.) Keep Reading! Now that you’ve had some time to get to know the Game Face girls, I thought you should meet another critical character in this whirlwind adventure – the artist who brought them to life! Allow me to introduce illustrator extraordinaire (drumroll please) … Tim Heitz! Keep Reading! 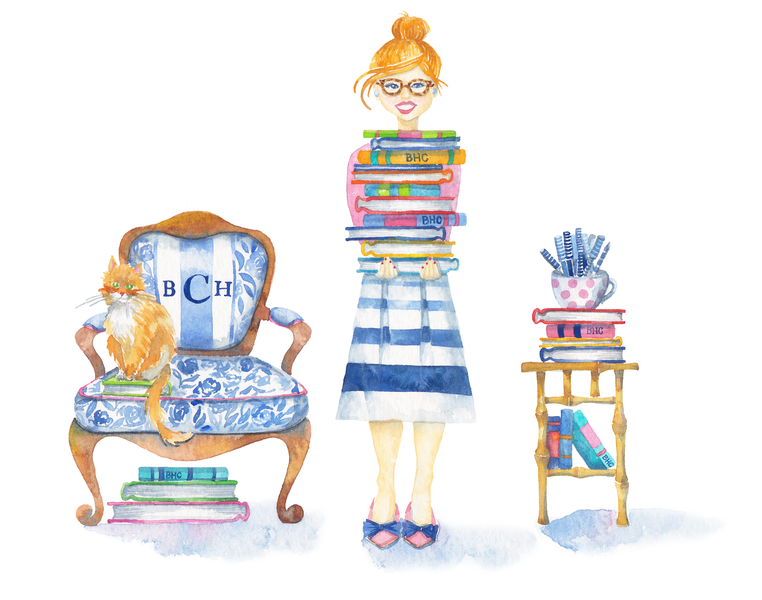 “‘If you ask a hundred different authors how they got published, you’ll get a hundred different stories’…Former Back Mountain resident, Brigitte Henry Cooper, has her own story of how she became a published Kid Lit author. One of the best parts of her story…she’s one of our own.” – Clare Parkhurst Keep Reading! Wow! What a whirlwind few months it has been! After Game Face debuted in early January, I have been caught up in an ambitious and invigorating book tour. You all know I love a good party, and what better reason to celebrate than the launch of my very first children’s book series? So I planned not one, not two, but six (yes, six!) parties and events to get the ball rolling. And boy, did it roll! I have finally emerged from my post-party-paralysis and cannot wait to share the details! Keep Reading! Introducing the Game Face Girls! Drum Roll Please ….. Introducing the Game Face girls! It has been over a year (well, a lifetime, actually) in the making, and I cannot be more excited to introduce you to my first Kid Lit characters – Alana, Maya, Rana and Louie. Keep Reading! If you’re anything like me, you’re really in it for the baked goods. (Apple cider donuts anyone?) But for those more inclined to actually take some apples home, read on for two quick food science tips to preserve and prepare your prized pickings. Keep Reading! Time for a Sequel: My Second Book Deal! You guys! It happened again! My Big Idea of becoming a published Kid Lit author has grown serious wings and my library of soon-to-be-published REAL LIVE BOOKS just jumped from FOUR to EIGHT. (EIGHT REAL LIVE BOOKS!) Again, I’m yelling. Let me fill you in … Keep Reading! Before you fire up the grill this weekend, take a look and make this 4th of July your tastiest yet! Keep Reading! Dog-Eared Dog-Days: Librarian Approved Kid-Lit Summer Reading Recs! Even though Mother Nature seems to have forgotten that summer is right around the corner (what’s with the cool temps, girl? ), the lazy, hazy days will soon be upon us! Warm weather. Sandy shores. Tasty treats. What could be better?! For me, summertime has always been a time to relax, recharge and (most importantly) read! Keep Reading!